Here is this week’s Sunday Coupon Preview! To see a full list of every coupon matched up to Walmart’s prices, check out my Reverse Coupon Matchups, it’s updated every Sunday morning. Below are the best deals with the full list after the jump. Enjoy! Hershey’s $1.50/3 reese’s, kit kat, hershey’s, almond joy, york, mounds, payday, take 5, milk duds or whoppers snack size or assortment bags 9oz+ (10/31) – New coupon for Halloween candy! 9/11 Coupon Preview: Great Deal on Ragu, Razers, Cereal and More! Tiny Toast $1/1 cereal (10/22) – There is a SavingStar rebae you can match to this. Angel Soft $.45/1 bathroom tissue (10/11) – There will usually be a SavingStar rebate you can match with this for a better deal the day it comes out. 8/24 Daily Video Recap: Coupon Preview and a FREEbie With Overage! Every night on FaceBook I do a really lengthy FaceBook Live video going over the big news and deals in the frugal world. Because of how long those videos are, I wanted to create a much shorter video with just the highlights. The links to the different stories we talked about are below the videos. Please remember to subscribe to the YouTube channel to never miss a video. Thanks! FREE Rice-A-Roni or Pasta-Roni at Walmart! SavingStar Produce Deal of the Week! Zantac Just $3.58 At Walmart! Rare Deal On Diet Coke Minicans! Disney Frozen Elsa Doll Just $16.79, Down From $67.99! Ivory Body Wash Just $0.62 At Walmart! FREE Dulcolax With $1.53 Overage At Walmart! 8/28 Sunday Coupon Preview: Great Deals on Detergent, Shampoo, Pickles and More! OxiClean $3/1 hd laundry detergent (9/28) – Awesome coupon for detergent! Garnier Fructis $3/2 shampoo, conditioner, treatment or style product excludes 1.7-3oz (9/24) – These will be about a buck. 8/21 Coupon Preview: Great Deals on Bic Pens, Tuna and More! 8/10 Daily Video Recap: FREEbies List and Next Week’s Coupon Preview is Up! UPDATED: 4 FREE Products Available NOW at Walmart! 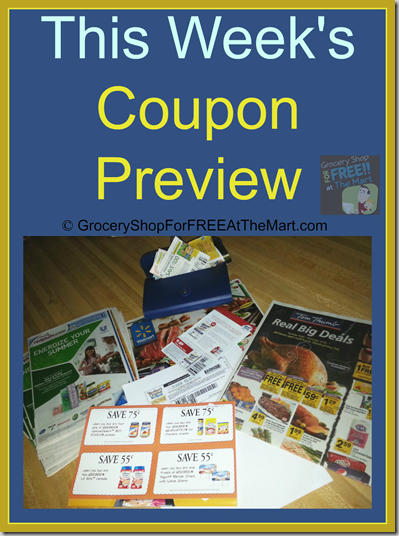 8/14 Coupon Insert Preview: Great deals on Ramen, Popcorn and More! Horizon Single Serve Milk Just $1.20 At Walmart! 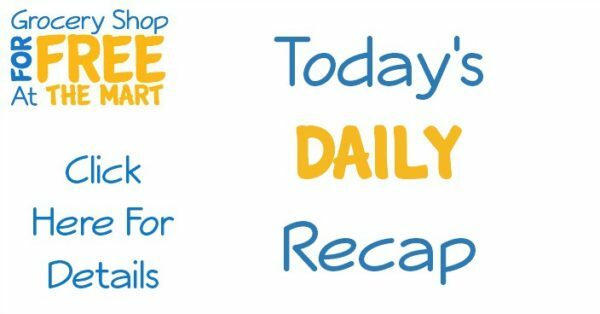 8/3 Daily Video Recap: Coupon Preview and a Produce Deal! 8/7 Coupon Insert Preview: Great Deals on School Supplies, Razors, Shampoo and More! Walmart Announces the End of Ad Matching in 800 Stores Nationwide! UPDATED: 9 FREE Products Available NOW at Walmart! 7/27 Daily Video Recap: FREEbies List is Updated and Next Week’s Coupon Preview is Up! Better Homes and Garden Welcome Bench on Rollback for $59.99! UPDATED: 5 FREE Products Available NOW at Walmart! 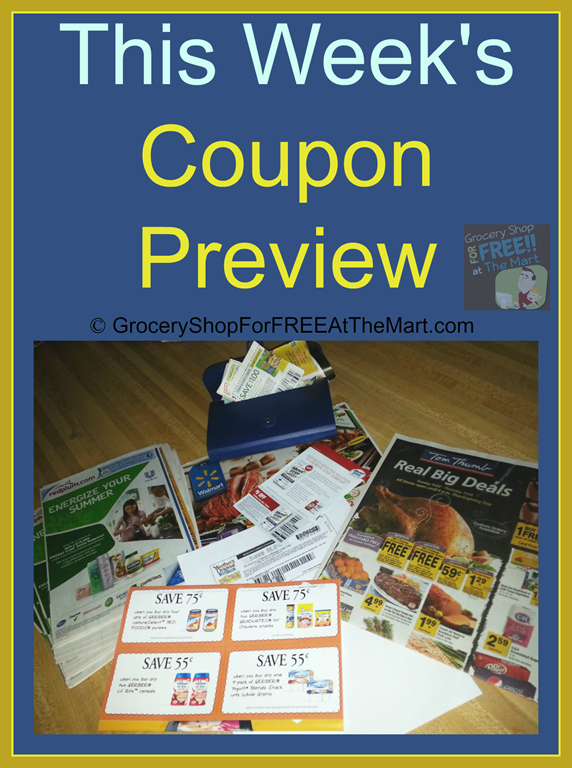 7/31 Sunday Coupon Preview: Great Deals on Lunchmeat, Soap, Toothpaste and More! Buddig $1/5 2oz original packages (11/30) – Combine with the $1.00/5 Ibotta rebate for a better deal. Crest $2/1 toothpaste 3oz+ excludes cavity, regular, baking soda, tartar control and kids – Always great price match deals when this coupon comes out. 7/17 Sunday Coupon Preview: Great Deals on Silk Nutchello, Shampoo, or Dog Food!